Please call our office at and we will inform you if a referral from your primary care physician is needed. Getting full range of motion, strength, and flexibility back after knee surgery usually takes time. That is where pre-operative exercise, education, and post-operative physical therapy programs come in – to ensure you are physically and emotionally prepared for surgery and to maximize your recovery after surgery. This varies depending on the type of procedure undergone, and can range from a few days to a few months. Your doctor will advise you depending on your particular health condition. Is there a problem with waiting too long before deciding to have my hip or knee replaced? Some complications of waiting too long before undergoing an orthopedic surgery for your condition include loss of joint motion which in some cases may never return to normal, joint weakness, more difficult joint replacement surgery and a longer recovery. 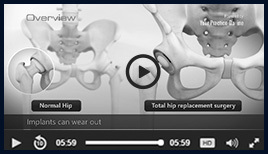 Nine out of ten people who have had a hip or knee joint replaced, the new joint is still working well after twenty years.